My review is on a turn-based strategy title by Matrix Games called Order of Battle: Pacific. This is not the typical strategy game I am used to playing where a player creates massive forces, civilizations, and conquers the computer’s civilization. 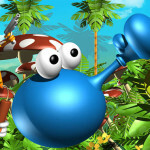 This game has goals for the player and turns are taken between the player and AI with limited actions during each turn. 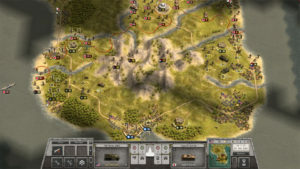 Set in the Pacific theater of World War II, Order of Battle: Pacific, the game allows the player to mobilize their forces to defeat the enemy. You can play as the United States and Allies or as Japan, and if enough points are gained the player can deploy enough units to change history. Though from my play through some of the earliest campaigns are limited to history. Welcome to the day that will live in infamy. Think you can fight to a better result for the US here? 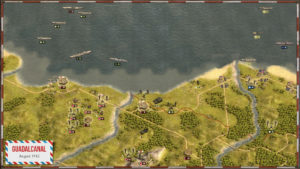 When first entering the main title screen following a well-produced opening sequence of a WWII Pacific battle, the player gets the choice of a single player or multiplayer. I thought the multiplayer was a good concept for this strategy game with a choice of up to four players. For the single player there is a tutorial campaign called boot camp. Boot camp is spread out through several campaigns to introduce the player to the game. This game felt difficult to master. Even after boot camp, it took playing through the actual campaigns and keeping the tutorial popups enabled to figure out the game and the best strategy. 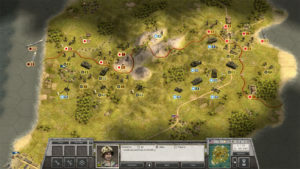 The game also has a command points system that allows the player to deploy units and a purchasing system to acquire more units. Since this is the Pacific theater, you will be fighting at sea quite a bit, sometimes without any land in sight. One of the best things about Order of Battle: Pacific is that it follows the historic timeline for the WWII pacific campaign. 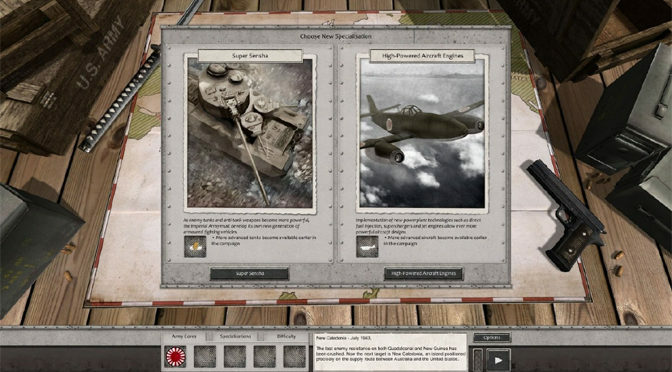 The units available to the player are also WWII in nature. 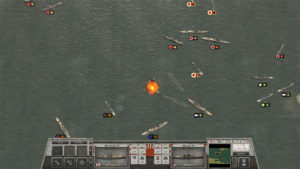 The player is also not limited to infantry, tanks, and artillery, but also has battleships and aircraft. The aircraft are great and can be purchased as fighters or bombers. 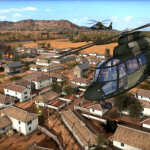 There is an entire collection of vehicles, ships, and units a player can choose from. 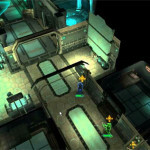 The game also supplies the player with reinforcements throughout the campaign. Getting the needed command points to deploy units can be tricky. Use every resource available to you, because the difference between victory and defeat is sometimes but an eyelash. Order of Battle: Pacific itself is easy to play and the creators provided tutorial popups throughout the game and there are also mission briefings. After every turn a popup with the mission objectives is posted. I felt that this could have been kept as a side button. There are also secondary objectives that can be accomplished. Historic photos are used in the game for an added authentic feel and the music was fantastic, appropriate and motivating. Another historic battle that could change the course of the war. How will you play it? 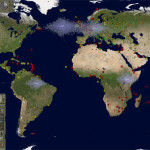 As a turn-based strategy game, the player moves their units and initializes attacks then the AI takes a turn. The campaign is over when the objective is completed or the player defeated. Really good strategy is needed to conquer this game not only because of the AI, but the units only have limited moves each turn. Because of this I am glad the developers put in the boot camp tutorial and made it more than one campaign. Fielding requests from your frontline commanders is not always easy, but give them what you can if you want to get an edge. 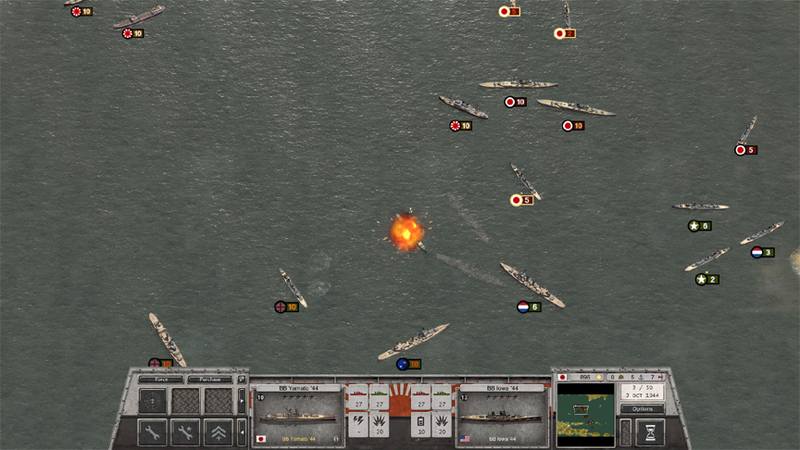 Overall Order of Battle: Pacific is a great strategy game with an emphasis on real strategy. A thorough and long game that makes playing history fun. Once mastered a player has the added bonus of changing the course of history. Though difficult to master at first, the game controls are easy and it does not take long to figure out the gameplay. The graphics and sound were also well done with the addition of WWII artistic renderings and real photographs, with an opening battle sequence that really gets you ready for the game. I would recommend this to anyone who is interested in war history, looking for a great WWII game, or just wants a challenging and rewarding strategy title.